Understanding how Open edX content is structured in AMC is key to making sure you are designing a good looking Open edX site. Here's some helpful information. 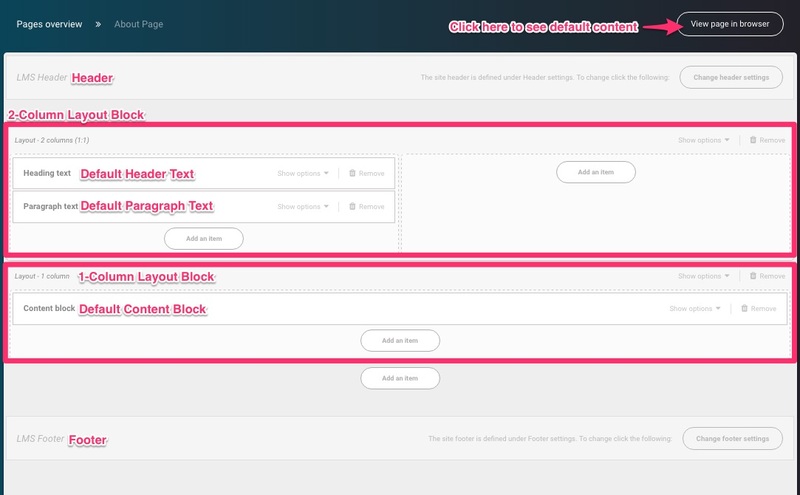 Within each Layout Blocks is where you add your Content Items, which can either be Elements or more Layout Blocks. 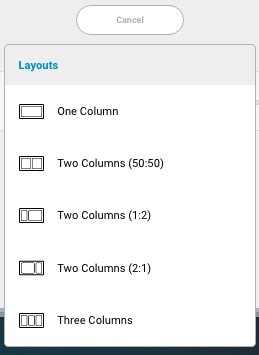 You can add layout blocks within layout blocks. This allows for a lot of creativity. However, we would caution users to not add too many as it can make your Open edX site difficult to read. In the above example, I made sure the background color of the match the background color of the higher level 2-column layout block. Important Note: Design choices made on lower level layout blocks will override the higher level design choices. You can see this above. The background color dark blue is overridden by the white background colour of the sub-columns. The Courses page is one of the three pages that can't be disabled. It also contains a content block that can't be removed. The Course Catalogue Element is an element that exists by default and cannot be removed. 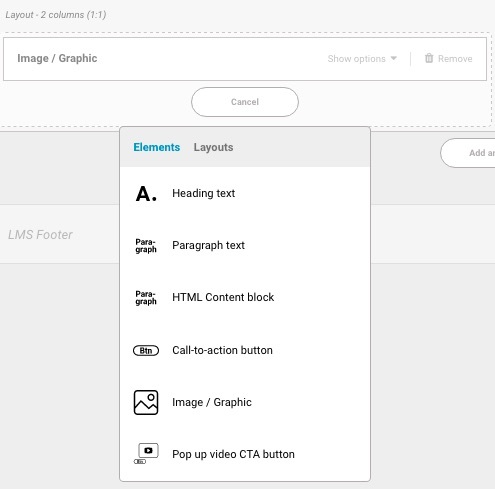 A course's About page contains an element called the Course About Layout. This is the part of the page that is set on a course-by-course basis. The bulk of the content on this page is edited in Open edX Studio.